Known for his daredevil stunts, Tom Cruise has done most of his stunts and took a huge risk when he clung to the plane in the last MI series movie Rogue Nation. The 55-year-old actor is now working on his next Mission Impossible movie. When he was limping before a supposed leap to the next building, Tom Cruise suddenly lost his grip and crashed into the building in front of him, missing the jump as originally planned. He was immediately rushed to hospital. A photograph of his accident just before it took place is now online. 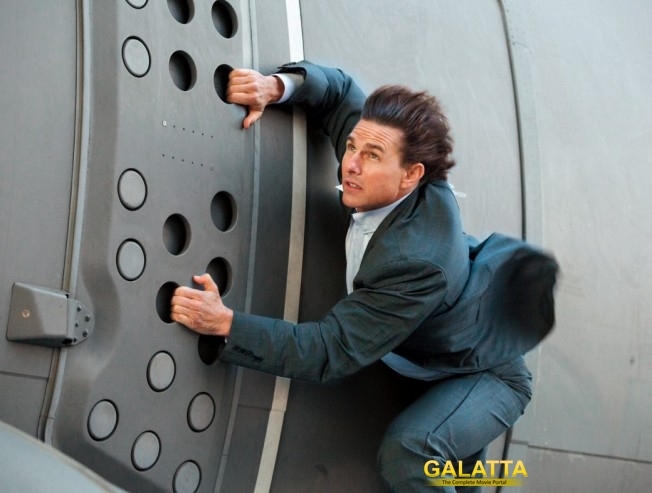 >>Tom's 'Mission Impossible 5' plans! >>Tom trys to woo Suri by buying her expensive gifts! >>Hollywood prefers India over USA! >>Tom Cruise in Clint Eastwood's next? >>Tom Cruise on a lookout for a house in London!